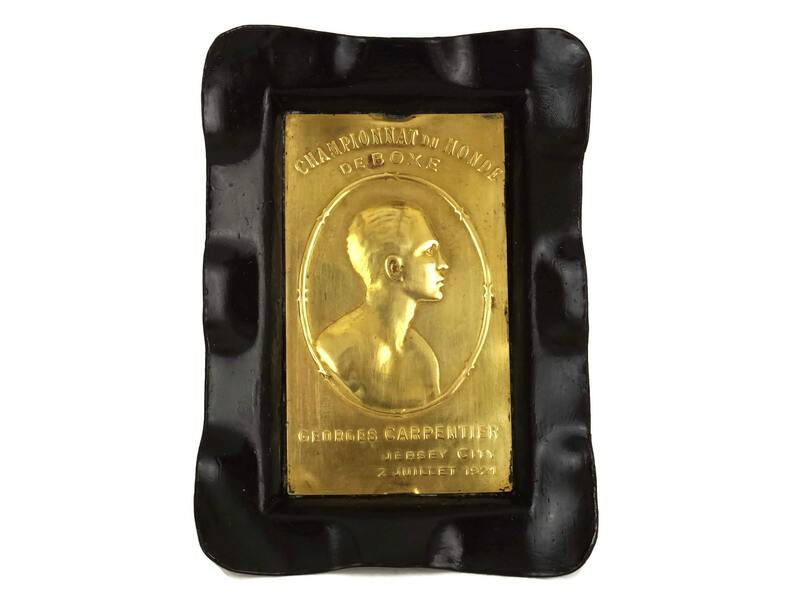 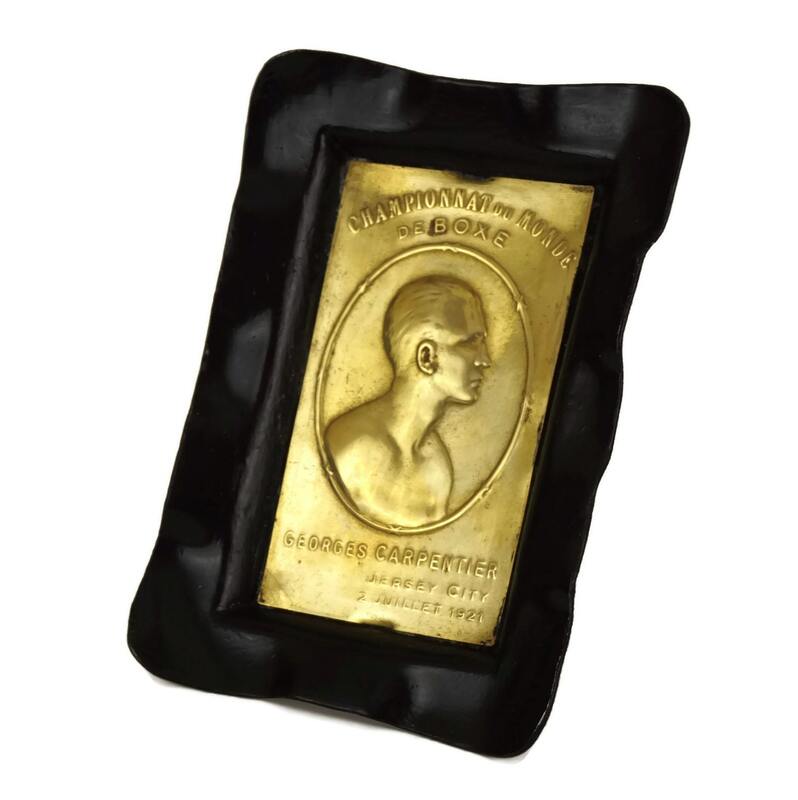 An antique boxing souvenir coin dish dating from the 1920's. 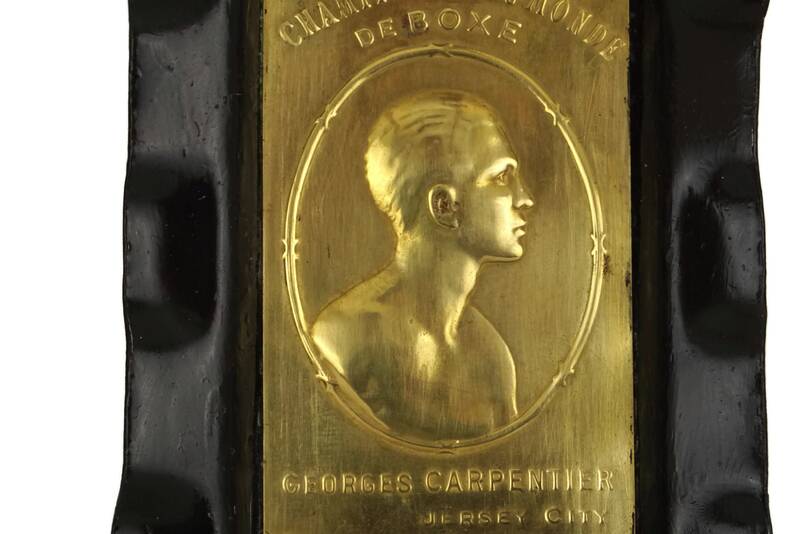 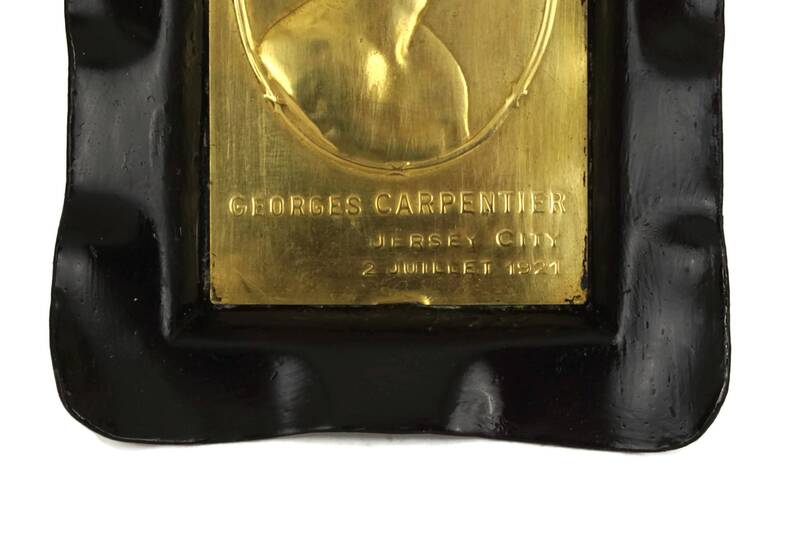 It features a portrait of the French boxer Georges Carpentier and commemorates the World Boxing Championship of 1921 in Jersey City. 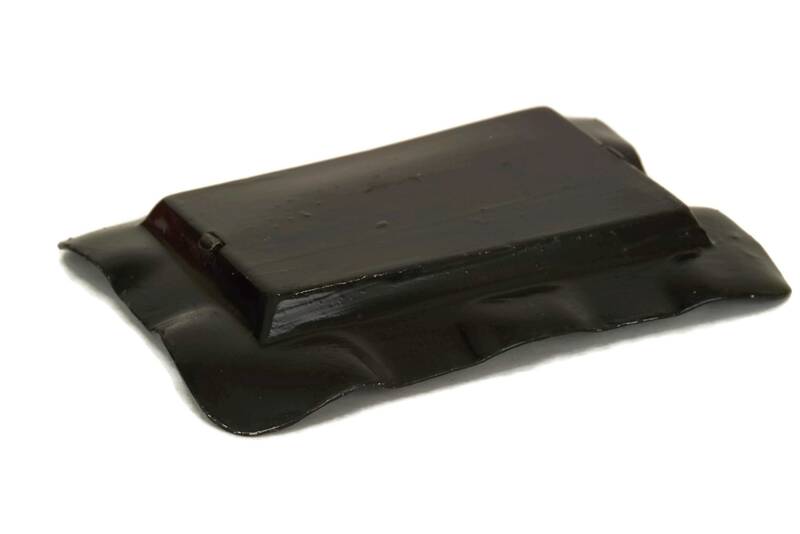 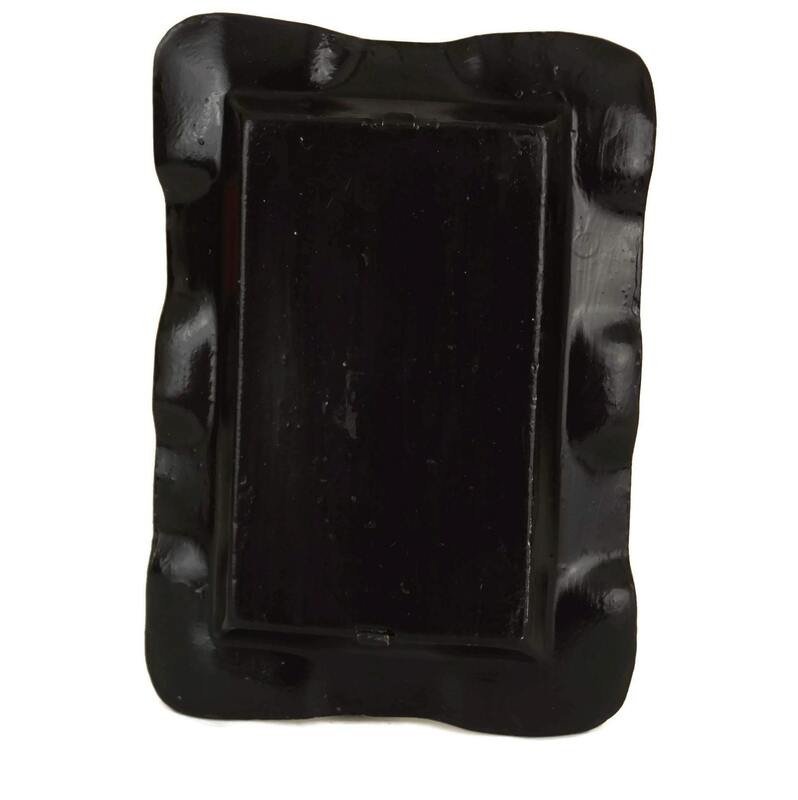 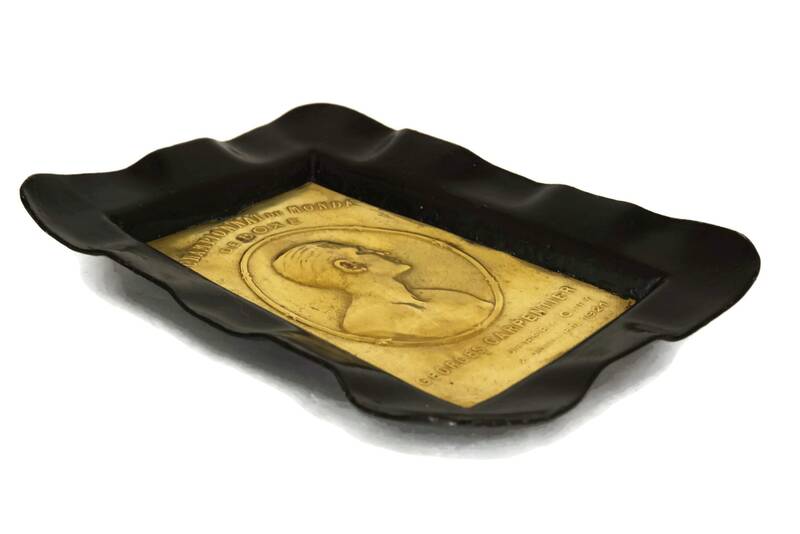 The collectible sports souvenir features a brass medallion plate mounted on an aluminium tray which has been painted black. 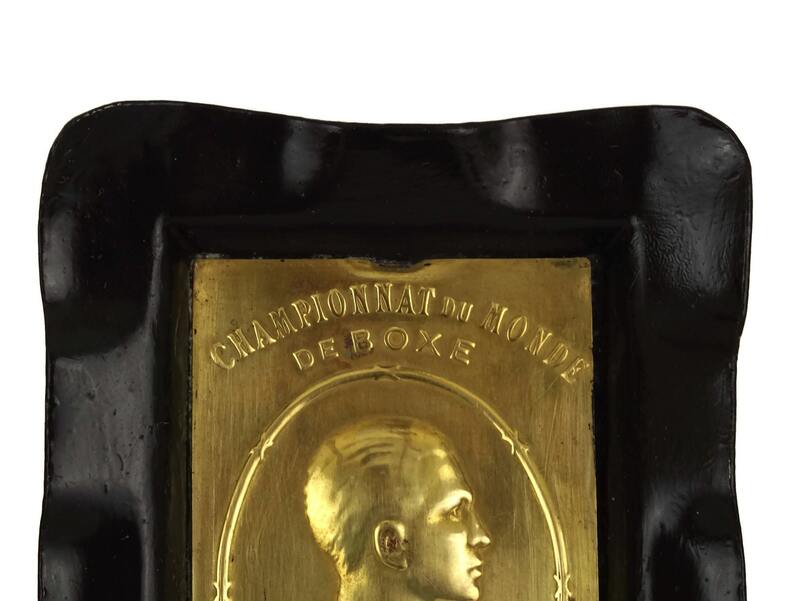 The text on the raised relief brass plaque is in French. 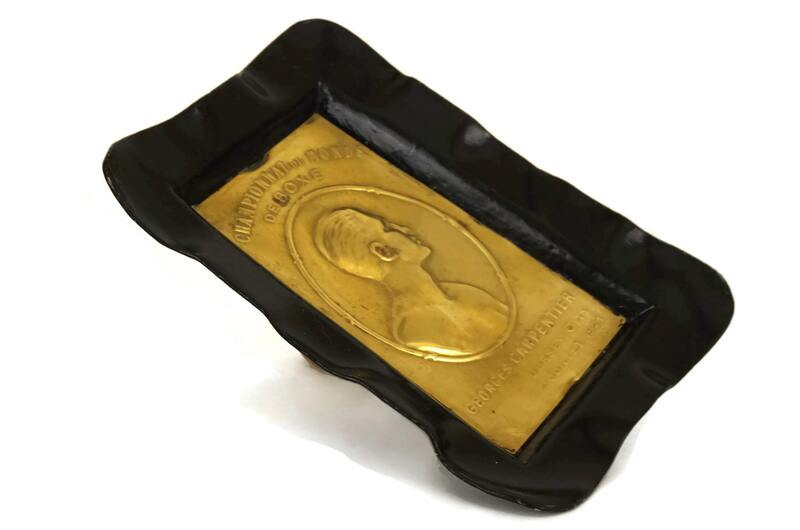 (10,5 cm x 7,5 cm). 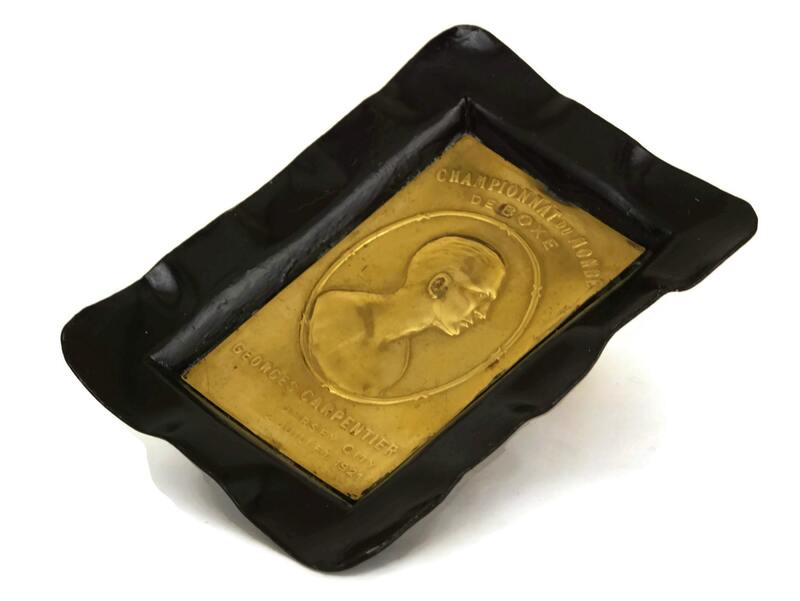 The boxing memorabilia dish is in very good condition with light signs of age and wear.